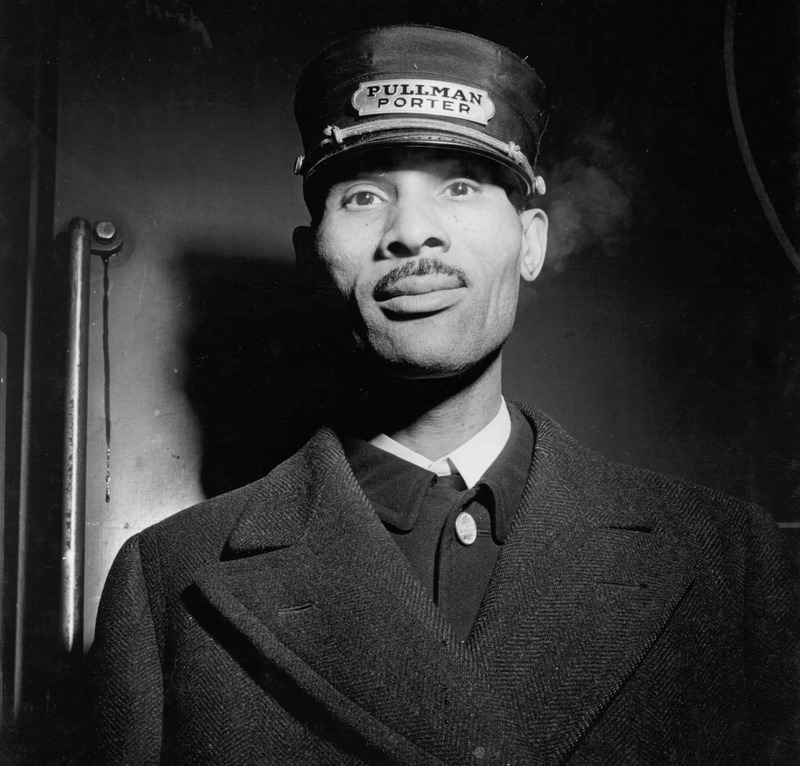 This 1943 image of a sleeping car porter employed by the Pullman Company was taken at Union Station in Chicago, Ill. by photographer Jack Delano. Courtesy U.S. Library of Congress. The billionaire Republican Governor of Illinois, Bruce Rauner, injected himself into ceremonies in Chicago last week presided over by the city’s Democratic mayor and the nation’s Democratic President. Rauner insisted on attending because he wrongheadedly thought the Democrats were honoring his idol, kingpin George Pullman, the guy who invented the luxury railroad sleeper car, oppressed his workers and suppressed their union. Rauner, and other kowtow-to-the-rich Republican governors, adhere to the Pullman philosophy that rich people are better than everyone else and that gives them the right to control the lives of everyone else. They don’t comprehend the dreams and desires of the middle class and working poor. So Rauner couldn’t conceive that the ceremony in Chicago’s South Side neighborhood that was named Pullman by Pullman for his personal self-aggrandizement was not about placing the mogul on a pedestal but really about recognizing the people who ultimately prevailed despite his exploitation. At ceremonies designating the Pullman Historic District as a national monument, President Obama’s speech served as both a rebuke and history lesson for Rauner. The president told the tale of Pullman from the workers’ point of view. Pullman constructed his first sleeper car three years after the Civil War ended and nine years later employed his first black porters for an expanded service. These black men and women were hired at low wages to work long hours to wait on wealthy white customers hand and foot. This was a Southern plantation traveling America on rails. Porters, who had to pay for their own uniforms and equipment such as shoe shine boxes, depended on tips for much of their income. As a result, most kept silent as white passengers referred to them all by Pullman’s first name, “George.” This demeaning treatment inspired the 2002 Robert Townsend film 10,000 Black Men Named George. The community Pullman built around his factory was a company town in all the worst ways. Pullman owned everything, the homes, the hospital, the shops, the hotel named for his daughter Florence, and, of course, the source of all income – the jobs. Not willing to subsist as helpless inhabitants of a rich man’s dollhouse, the community’s workers, who believed in America’s promise of self-determination, organized a strike. It eventually spread across the country as the porters joined in. Pullman got President Grover Cleveland to send in federal troops who fixed bayonets on the populace and killed more than 30 workers. The workers returned to their jobs, but they’d experienced the power of collective action. And that couldn’t be repressed. The workers cheered in 1898 when the state Supreme Court ordered the company town sold. It would take decades longer, but the workers eventually secured their goal of collective action on the job. Pullman refused to recognize the union and tried to squelch it, firing as many members of the brotherhood as his spies could find. It took the workers 12 years, but finally after passage of the National Labor Relations Act, which provided a clear legal path to unionization, Pullman was forced to acknowledge and negotiate with the brotherhood. “As Americans we believe workers’ rights are civil rights. That dignity and opportunity aren’t just gifts to be handed down by a generous government or by a generous employer; they are rights given by God, as undeniable and worth protecting as the Grand Canyon or the Great Smoky Mountains,” President Obama said. That, however, is not what Republicans like Bruce Rauner believe. They think, just as Pullman did, that workers’ rights should be circumvented, slighted and squashed for the benefit of the rich. And they’re striving to accomplish that. In one of his first acts as governor of Wisconsin, Scott Walker slashed the rights, pay and benefits of public sector union members. Republicans in Indiana and Michigan passed laws to ensure their citizens could work for less than what a labor union could bargain for them, and several other Republican-dominated states, including Wisconsin, Nevada and West Virginia are considering measures to constrain the ability of workers to collectively seek better wages and working conditions. The Republican governor of Ohio tried to restrict the rights of public sector workers to collectively bargain, but citizens overwhelmingly reversed him in a referendum. In the weeks before the ceremony in Chicago, Rauner attempted by executive fiat to financially hobble labor unions representing state workers and urged the state’s cities and counties to ignore state and federal labor laws by creating zones where employees would have the right to work for less than the amount labor unions could negotiate for them. Similarly, he proposed in the budget he offered last week that the middle class and working poor take all of the hits to mend the state’s finances. He plans, for example, to cut Medicaid for the poor and elderly, health insurance and pensions for government workers, mass transit used by the working poor to get to jobs, and services to vulnerable former foster children. In the meantime, he had the state hire a $100,000-a-year assistant for his wife and plans to renovate the governor’s Civil War-era mansion. Like Pullman, “Daddy” Rauner is intent on controlling Illinois’ “children.” He said as he issued his budget, “Instilling discipline is not easy, saying ‘no’ is not popular.” That is a budget requiring no discipline for billionaire private equity CEOs like Rauner. His aides said he never even considered new taxes on his country club buddies. Only workers are to endure austerity in Rauner’s Illinois. Rauner is making a bid for a new film set in Chicago. This one will be called “3 Million Illinois Citizens Named Bruce.” Already it’s a flop with the populace.